Living in the 21st century, it’s easy to see why advertising in print or digital magazines almost seems pointless. The television and the internet can reach more than a million more consumers at a quicker rate. It also costs less to advertise your goods and services on a website than on TV. You may also see interior design magazine examples. While these may be true, in reality, both print and digital magazines are still a part of a booming industry that caters to over a million individuals each month. New magazines are constantly emerging, and a number of which continue to thrive and succeed in their respective markets. You may also like architecture magazine designs examples. 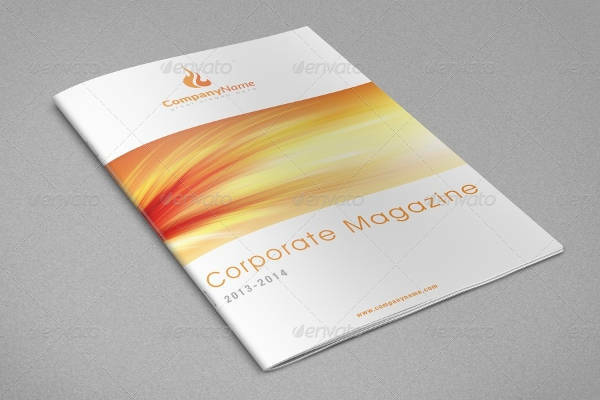 There are many reasons why companies choose to publish their own corporate magazines. 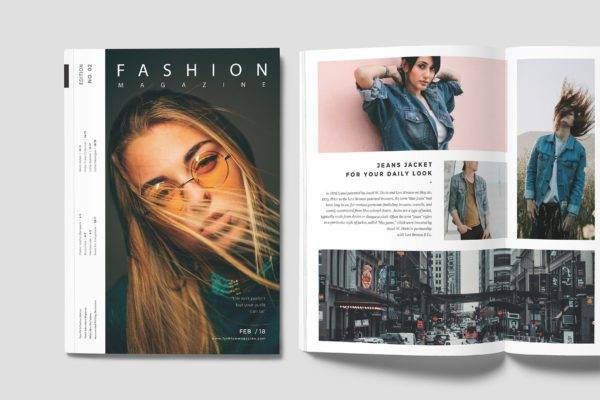 So in this article, we discuss the benefits of magazine publications and a few tips on how you can create your very own magazine spread. You may also check out magazine cover design. You communicate with customers daily, even if you don’t do it in person. Pushing promotional materials their way in the form of business brochures, mailings, marketing materials, social media posts, and websites is a common approach in the business world. But how can you pull in customers, engage them with interesting content, and present a point of view without being overly promotional? You create a company magazine. 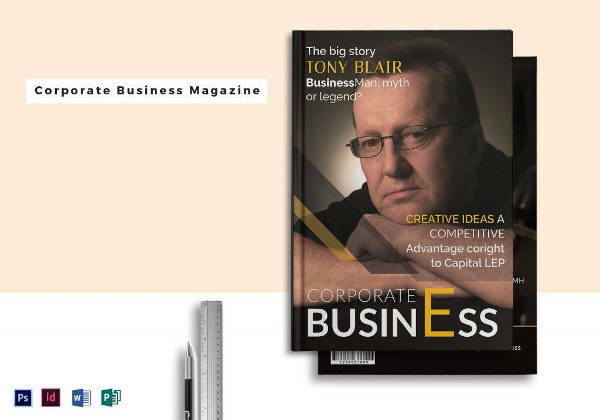 Unlike the average marketing materials we’ve become accustomed to, company magazines often carry a more professional and journalistic voice and tone which appeals to customers. If done correctly, the magazine can generate a solid readership and portray your company as an entity that is committed to sharing information as opposed to just selling. You may also see advertising brochure examples. Over the years, company magazines have become a unique addition to the marketing mix, whether they’re being distributed online or in print. These magazines are designed to not only promote a brand and its offerings but to tell a meaningful story about the company behind it. This allows the business to build a deeper connection with their audience by sharing key information about what the company does and why. You may also like examples of company brochure. Company magazines are also tailored according to the brand’s target audience to strengthen one’s business-to-customer relationship even further. Publishing your own company magazine can be beneficial in a variety of ways, whether it’s an in-house periodical or a client-based publication. It serves as a creative and convenient method of disseminating information for clients and employees to enjoy. You may also see best brochure examples. 1. It presents information in an interesting manner. There’s a huge difference between delivering information through a slideshow presentation and an actual magazine. For one, communicating your business goals and ideas in a friendly fashion will make it seem less intimidating in the eyes of associates, investors, and staff members. This will also allow customers and clients to see your company from a different light. On top of highlighting your product or service, and further establishing your brand image, you can also gain employee loyalty as you continue to increase a person’s drive to be a part of the team and work productively for the future of the company. You may also like brochure examples in PSD. 2. It can brighten your work environment. Perhaps you could use an in-house magazine to brighten the work environment of your office. Keep in mind that a healthy atmosphere can reduce the number of sick days and boost your staff’s performance. You could put a company magazine on top of a coffee table in your break room, or maybe even by the front desk for clients, job applicants, and employees to read. 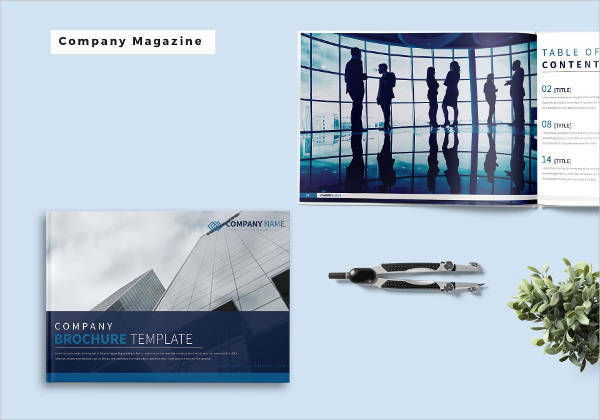 You can use the magazine as a medium to send a message to clients and employees thanking them for the roles they play in behalf of the company, like how they have utilized your products or services and what they have contributed toward business success. 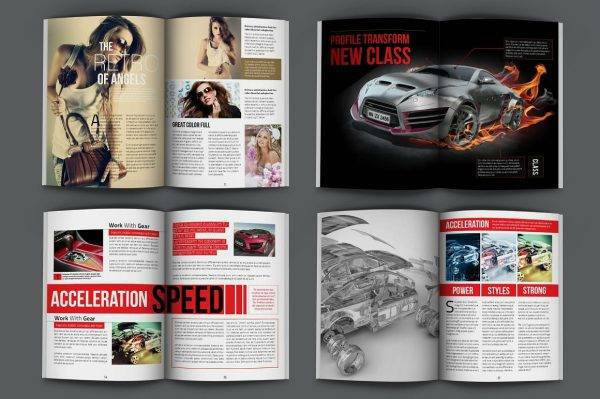 You may also check out A4 brochure designs and examples. Article writing is a great way to get this message across. You can write about the hard work and sacrifices demonstrated by your employees, and add in a few photographs of them and their accomplishments within the organization. 3. It sets you up as an expert in the field. Magazine articles usually cover a wide variety of topics, besides those that talk about the company and its product or service offers. Readers often want to know more about the principles and concepts of the business world, and hearing about it from the “experts” in the field is the way to go. This gives you the opportunity to offer others reliable insights in regards to your business and the industry it is in. 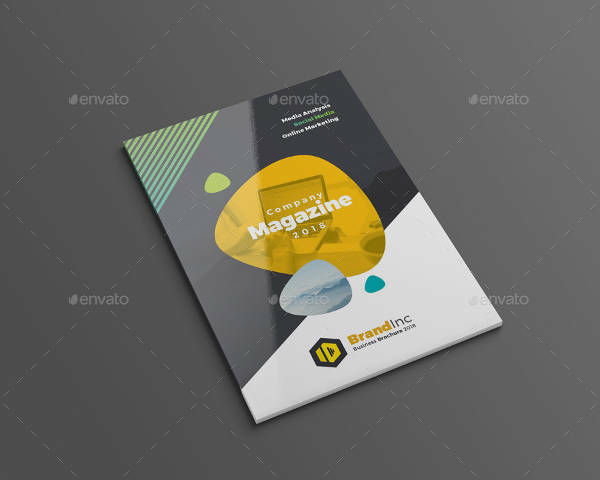 You might be interested in free brochure design examples. The magazine can cater to different types of audiences, including struggling entrepreneurs and newbies entering the field, while exchanging bright and insightful ideas with employees, peers, and clients about how the business world operates. This is most beneficial to magazines that cater to a niche audience of professional or enthusiasts who might be looking for credible advice. You may also see travel brochure designs & examples. 4. It serves as a unique and attractive catalog. 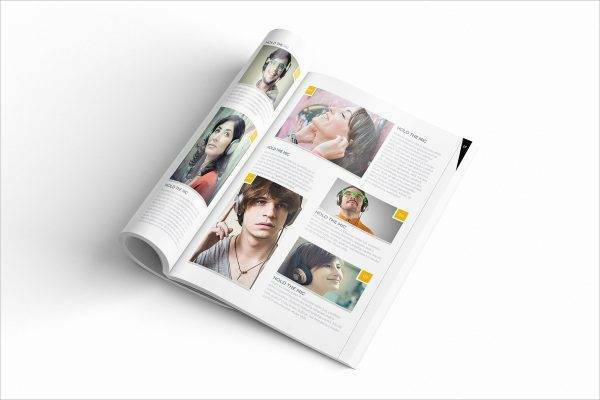 A magazine can also function as a sales catalog for your business to advertise various merchandises to prospects. But rather than promoting these offers like a sales representative at a car show, magazines can be a soft sell source for product and service information. Its friendly and indirect approach allows potential buyers to really think about the item before they place in their orders. By using a persuasive yet cordial tone with your writing, you can convince customers to do business with you without meeting face-to-face. 5. It can turn into a stand-alone business. Like any other communication platform, magazines offer ad spaces for non-competing businesses to promote their brand. You can optimize on this factor by turning it into an additional profit center for other businesses to reach out to the needs of their potentially related customers. This can be used to cover the expenses for producing the said magazine, and if you gain a more solid following on these publications, you can raise your ad space price a little higher for additional profit. You may also like real estate brochure designs & examples. 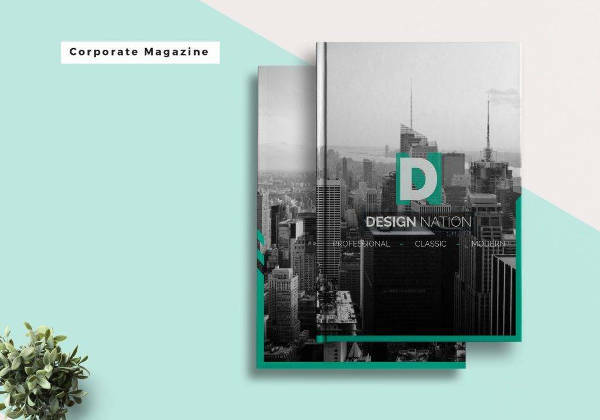 Now that we’ve established what corporate magazines are and how companies may benefit from them, it’s time to create one yourself. Designing a company magazine is a grueling task that requires time, effort, and a touch of creativity to complete. It may take some time before you can finally come up with a magazine that reflects the identity of your brand, but the results are truly worth the endless hours at the office and the extreme amount of pressure that you face on a regular basis. You may also like brochure designs & examples. 1. Gather a strong editor-art director team. Your development team plays a crucial role to the magazine’s success. You need a top editor who can understand your target readers and generate a variety of concepts and ideas that will intrigue them. You would also need an art director or graphic designer who can build a strong visual strategy to emphasize your brand. These individuals are responsible for creating the layouts and graphics of the magazine. You may also see festival brochure designs & examples. Together, you can gather a team of talented and innovative professionals to craft a magazine that will appeal to your desired readers and differentiate you from competing brands. 2. Plan out a year’s worth of content. The great thing about magazines is that most of them aren’t published on a daily or weekly basis, which gives you enough time to map out a year’s worth of content. Whether your magazine is released in a monthly, bimonthly, or quarterly basis, you need to have solid editorial content to keep your audience interested. Most chief editors develop project plans that show the themes, cover stories, columns, interviews, and articles of a magazine months before their actual publication dates. This gives the team enough time to prepare and complete their tasks before a specified deadline. You may also check out sales promotion brochures. During this process, you must prepare a lineup of authors, ghostwriters, editors, illustrators, and photographers for the upcoming issues. Take note that magazine deadlines are strictly immovable, which means sticking to the project’s timetable is a must. You might be interested in examples of education brochure design. 3. Create a catchy name. It’s important to give your magazine a name that’s not only relevant and accurate but clever as well. You can also use company taglines to clarify the magazine’s purpose and offer readers something to remember it for. This will make it easier for readers to recognize and associate it with the company responsible for designing it. Some readers might even shorten your magazine name in ways you don’t intend them to, so make sure your name stays catchy and appropriate no matter how it’s twisted. 4. Craft a distinctive masthead. If corporate organizations have business logos, magazines have mastheads. Otherwise known as an imprint, a masthead is a listing printed on the editorial page of every magazine issue. It provides basic information about the name of the publication, its editorial staff, and other related details. For instance, you could easily recognize magazines like Rolling Stones, Vogue, Kerrang!, and GQ based on their respective mastheads. They usually come with a distinct font style, listing position, and color. The masthead should also hold down through the test of time—month after month, year after year—or until such time that the magazine decides to rebrand itself. Although the primary goal here is to create an artwork that will stand out, you need to make sure that it doesn’t obscure the rest of the magazine’s design elements. You may also see examples of bi-fold brochure design. 5. Design a unique cover style. 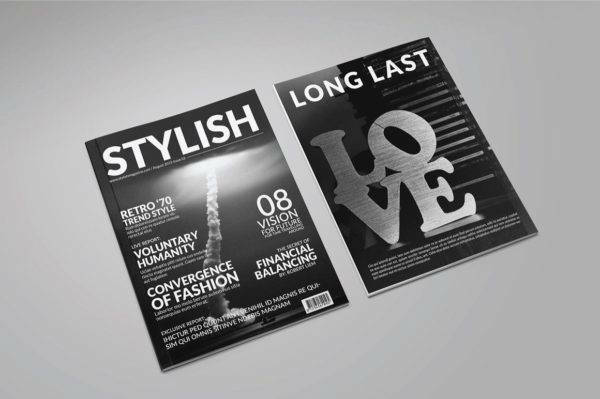 When it comes to magazine marketing, you need to create a magazine cover design that can turn heads almost instantly. It must be consistent, without becoming formulaic, for an audience to recognize. Creating a visual brand can be tough, but it’s your only weapon to keep your magazine under everyone’s radar. There are different factors to consider when crafting a cover style. You need to choose between original photography and illustration, and whether you would always (or never) include people’s faces on the cover. It’s also important to sustain this cover style indefinitely. High-quality visuals will definitely be a plus factor for audience impact. You may also see medical brochure examples. 6. Decide on the pagination. Magazines often create a unique structure for their content. This is comprised of different categories or sections of information specially designed to the specific needs of a reader. There could be a section dedicated for discussions regarding trending topics, another that offers a few tips or tricks about a business process, and the succeeding pages could focus on a company’s clients and customers. You may also like examples of service brochures. Readers would appreciate it if you create a familiar structure as well, one that contains consistent locations for important columns and articles. 7. Keep your readers involved. Though magazines may be a one-sided communication tool, this doesn’t mean you can’t interact with your readers. Create a special section where readers can express their point of views with other readers, ask questions, be interviewed, or serve as experts or mentors of a given subject. This will help you connect with readers on a more personal level, building a fairly interesting content to keep readers, along with those who claim they have no time to read, thoroughly engaged. You may also check out event brochure designs & examples. 8. Ask the tough questions. Be brutally honest with yourself, are your readers interested in what you’re writing for them? Is the magazine worth their time and attention? It’s important to measure the success of your magazine and monitor its progress throughout the months. This will help you analyze whether the magazine is performing as expected, or if it’s generating a desirable response from your target audience. 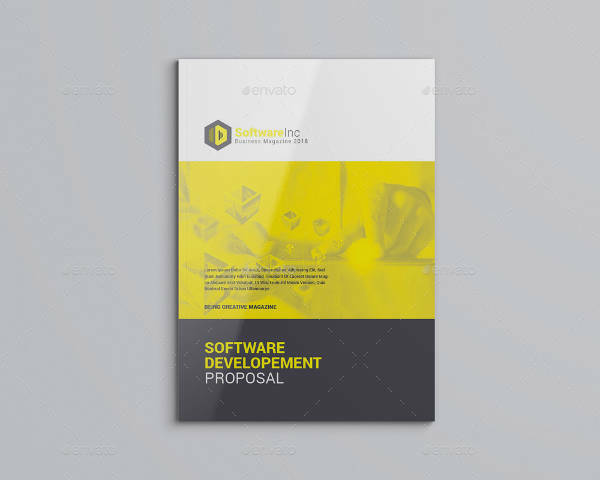 You might be interested in examples of recruitment brochure design. 9. Find the balance between improvement and familiarity. Once you have launched your magazine, you need to look for new ways to improve it in any way you can. You can even use a tiny section of the magazine to ask for feedback from your readers. Surveys and other data collecting mediums can be pretty useful in finding out what your readers think, allowing you to act upon it accordingly. You may also see nonprofit brochure examples. Magazines are one of the most effective marketing tools in the field of business. This gives you the chance to communicate with clients and employees in an informative and creative manner. 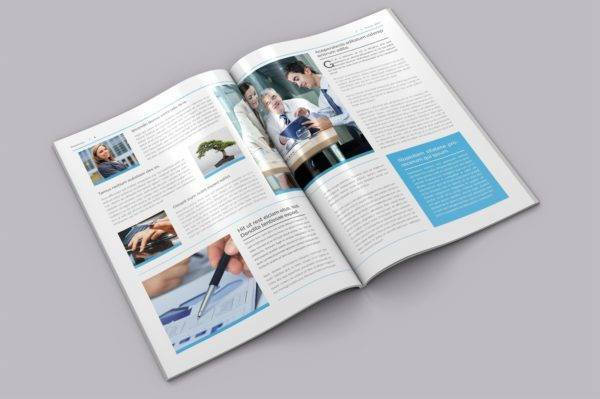 Knowing what the magazine is for and how you can benefit from it are the initial steps to creating the perfect company magazine for your target readers, so the next time you find yourself in need of a periodical, be sure to keep our guidelines and examples in mind.